What’s the Tarantula Deluxe Crossbow Case Made Of? Howdy, and welcome to our review of the Tarantula Deluxe Crossbow Case (amazon.com link). This case is made from rugged micro-fleece fabric for the outer, along with a ballistic polymer inner lining. The case also has tough oxford nylon in key locations to add strength to the case. The ballistic polymer inner lining is supposed to protect against bumps, but it provides only minimal protection. What Size Crossbow Will the Case Fit? This case is only 42” long by 34” wide, so you may want to check your crossbow’s dimensions or try the case out in a store before buying. It worked terrific with both my TenPoint Titan Extreme and my Horton Legend, but my Excalibur Axiom would not fit in the case due to its width. Please note that if your crossbow is compact, this case does not include any retaining straps to hold it still in the case. It will bounce around a bit. How Resistant is the Case to Tearing? Micro-fleece fabric isn’t really known for its resistance to tearing, but Tarantula has placed the oxford nylon in just the right spots to add enough strength to the case to alleviate any worries about tearing. It’s not bulletproof, but it should protect your crossbow as you carry it from the house to the truck. How Weather-Resistant is the Tarantula Deluxe Crossbow Case? I got caught in a downpour with my crossbow in the back of the truck in this case, and when I stopped I checked on my crossbow. Dry as a bone! The case does a good job of keeping the elements out, so you should be able to rely on this case to keep things dry. Does the Case Have Extra Pockets? 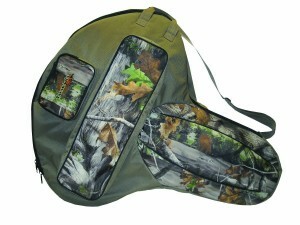 The Tarantula Deluxe has an extra pocket for crossbow arrows, as well as a pocket with an included tackle box. I found the small tackle box great for carrying extra broadheads, practice tips, rail lube, and string wax. 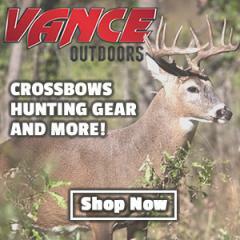 Thanks for reading our review of Crossbow Case. The Tarantula is a nice case for the money, and should provide some protection from the elements. Bumps and jostles, though, are your responsibility. Check out Amazon.com’s price on this case.